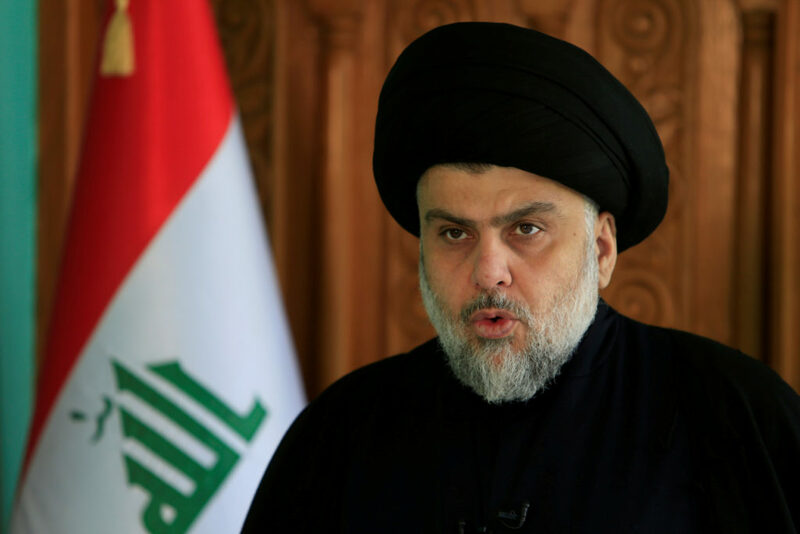 Muqtada al-Sadr appears set to secure the most significant victory of his political career after a strong showing in parliament elections held over the weekend. Widespread disillusionment with Iraq's current political class appears to have helped the political coalition of influential Shiite cleric Muqtada al-Sadr become the early front-runner in national elections marked by record low turnout. As Iraqi lawmakers spar over approval of a new U.S.-Iraqi security deal, scores of followers of radical Shiite cleric Muqtada al-Sadr took to the streets Friday to protest the pact, chanting slogans and burning an effigy of President George W.
Six-nation talks over Iran's nuclear ambitions ended Wednesday in stalemate, though President Mahmoud Ahmadinejad said he was open to continued talks. Amid allegations of an Iranian role in Iraqi violence, analysts consider the state of U.S.-Iranian relations. An aide to Muqtada al-Sadr said Monday the Shiite cleric will consult with top religious leaders and disband his Mahdi Army if they order it. The militia has been fighting government forces in several places in Iraq.